Fill out this form to get your free pdf of the Ripple Workbook and print it yourself. We will also add you to our Ripple mailing list. That's it, check your email to confirm you want to be added to our Ripple mailing list and get notified of other great Ripple Leader content. Click here to download your printable workbook. Would you like a pdf version of the Action Plan from the Ripple Workbook? This is a template to help you create your plan to improve those areas where small changes can result in significant, positive impact. After you complete the two action plans included in the workbook, you can print as many as you need while you continue to strengthen your leadership. Need the book too? No problem. Need some reminders to put around your workspace as you work through Ripple concepts? We've got those! Trebuchet Group has coaches, trainers, and facilitators to support you in working on yourself, working with others, and working on your organization. We start by meeting with you to understand your needs and help you determine what success looks like for you and your business. We jointly determine which program or blend of programs will best help you reach your goals. Popular programs for working on yourself include leader assessment and leader effectiveness coaching. A favorite program to help your team work together better is goal-focused teambuilding. To work on your organization, we offer action-focused strategic planning and change that sticks. Read more about how we can help you and how we've helped others at trebuchetgroup.com. Then contact us for a complimentary conversation. We look forward to helping you make some ripples! 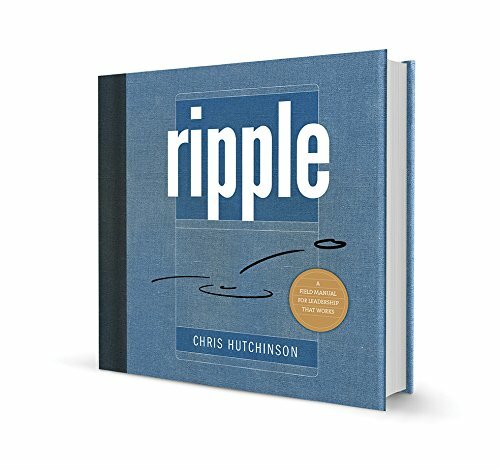 If you believe there is more capacity in you, in others, and in your organization than is now being tapped, Ripple is for you. - Create practical solutions to your current challenges while strengthening your ability to handle future challenges. - Their ability to put their learning into action. Ripple helps people like you achieve greater and longer-lasting success in less time. Here’s to getting you as far as you want to go.